Smartphones provide incredible flexibility for the home consumer or business user, not least with the profusion of apps available to use. It doesn't matter whether you're just looking to write a shopping list, make creative notes, or take business minutes and reminders, there are a lot of options available. 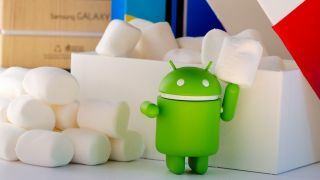 This is not least with Android being the most widely-used operating system for smartphones, with over 85% market share which makes it an especially important platform to have the tools you need and want to use. Whether you're just typing text, writing with a stylus, or scribbling with your finger, there are a lot of different note-taking apps for Android out there. Some are focused more on just taking simple notes, while others come with more features and functionality that can turn your smartphone into a digital notebook, or workbook. We'll therefore take a look at what we think are the best in note-taking apps for Android, according to a range of different features and use options. For decades, Microsoft has dominated the software scene, and things haven’t changed today. Offered as part of the Office family of productivity apps, OneNote is one of the most popular and capable note-taking apps you can get. This app is capable of a great deal, whether you want to capture information from emails or embed Excel tables. This app is a multi-platform affair which is hooked up to the cloud, meaning that if you’ve written some notes on your laptop, you can pull these up in a meeting via your smartphone. OneNote works across Windows, Mac, iOS and Android devices. The Android app is easy to use and works as a flexible canvas, letting you type, handwrite, draw and clip things you find on the web. What’s more, you can even scan notes made on paper and make them searchable through OneNote. To organize your notes, you can create tags, labels, to-do lists and follow-up items. It’s also possible to categorize notes based on their importance. OneNote allows for collaboration, letting you share your virtual notebooks with anyone. People can leave comments and follow-up questions on your notes as well. The best thing about OneNote, though, is that it’s completely free to download while offering a plethora of premium capabilities. Evernote is a well-respected and powerful productivity app. It’s described as an organization and planning app that lets you take both typed and handwritten notes, create to-do lists, scan documents using your camera, and collaborate on content with others. The great thing about Evernote is that it makes use of a variety of media. For instance, you can create notes in text form, or as sketches, photos, audio, video, PDFs or web clippings. Just like Microsoft’s OneNote, this app is underpinned by cloud technology. That means you can sync content across all your devices from computers through to tablets and phones. In other words, if you start a task on one device, you can complete it on another. With Evernote, you can create, share and discuss content with your colleagues as well. The app is currently free to download, but the business package – which gives you most of the collaborative tools – costs $14.99 per user per month. Material Notes is a streamlined app that allows you to create notes, to-do lists and reminders. These are all color-coded and stored within a card-style interface to keep things better organised, and to make it easy to find relevant information. You also get the ability to mark important notes with stars, and these are saved within a category based on the urgency of projects. To ensure you never misplace an important note or list, you can easily locate anything by making use of the app’s search function. Plus you can create and place widgets on your home screen, which give you quick access to your notes. In terms of security, you can create a four-digit pin for all your notes, ensuring that sensitive information doesn’t get into the wrong hands. And the app allows you to easily and swiftly import content stored on other devices. Material Notes is free to download, with premium plans costing up to $9.29 (£6.70). You can access these as in-app purchases. Google offers a highly capable note-taking app in the form of Keep, which allows you to create as many notes and lists as you want. And you don’t need to stick to mere text – you can also add images and audio to your notes. In fact, there’s even the ability to record memos for the app to automatically transcribe. That’s particularly handy if you’ve had a light bulb moment and want to get it noted down somewhere quickly. Similarly to OneNote, you can scan handwritten notes, receipts, invoices and other documents through your camera. Google Keep is a pretty decent productivity app for teams, too. You can easily share notes and collaborate with others. Other features include color-coded labels, reminders and the benefit of multi-platform support. The app is free to download from the Play Store. It’s easy to feel overwhelmed when an app is weighed down with tons of features, many of which you might never use. Simplenote is designed for people who just want a quick, easy-to-use piece of software to jot down spontaneous ideas. Just open up the app, and right away you can create notes and lists. As you continue to use the software and amass more notes, you’re able to organize them with tags and pins. Every time you create a new note, it’s stored in the cloud and can be accessed through other devices. The app is completely free to download and use. Keep My Notes is an all-purpose notepad application that works offline and allows you to password protect entries. You can write with text, stylus, or a finger, and you can also include images and audio files. Various themes are available. It's free to use, but it does include adverts unless you pay around a dollar per item to turn them off. Notepad is a simple but colorful way of working with taking and presenting different notes. It doesn't run like a notepad, more like a notice board where you can organize your notes, such as checklists, shopping lists, writing notes, or business comments. You can organize notes according to color, label, or category, which makes it really easy to use. It's also free, but includes ads. Samsung Notes is Samsung's replacement for S Notes and Memo, and is a general notepad for organizing text, images, and audio. Where it differs from others are the extra features for scribbling or sketching, with various color editor options that make it as much as an all-purpose sketchbook as a notepad, depending on what you want to get from it. Notes is another general notepad app which allows you to organize text, images, and audio. It has a simple but clean look that makes it easy to work with. Notes also allows for password-protected areas, and is free to use when running ads, which can be switched-off using an in-app purchase of about two dollars. Classic Notes is one of the simplest apps listed, and this is probably one of its selling points. While it allows for taking basic notes, it doesn't do much more, so people not so use to smartphones and apps should be able to get a lot of use from it without becoming so confused by features and options present in other apps. It's free to use, but contains ads.